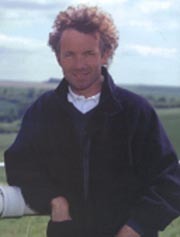 Ex-National Hunt champion Jockey John Francome has been voted TV's most popular racing commentator for his broadcasting for Cannel 4, and he has established himself as ne of the front runners in the racing thriller stakes. He lives in Berkshire. RIDE, STUD POKER, STONE COLD and with James McGrgor, BLOOD STOCK, DECLARED DEAD, EAVESDROPPER and RIDING HIGH, are also available from Headline.